Humes is one of the oldest public high schools in the city of Memphis. 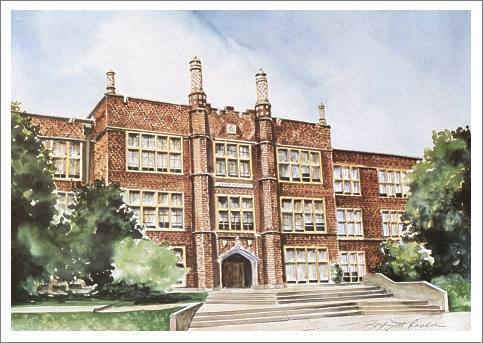 This print is one of a series of historic high schools in the area that I have painted. I have tried to capture the beauty of the school for others to enjoy and remember. The print size is 13" x 17 1/2".